For the last few years I have presented on the importance of measurement when collecting data and visually transforming it into information. 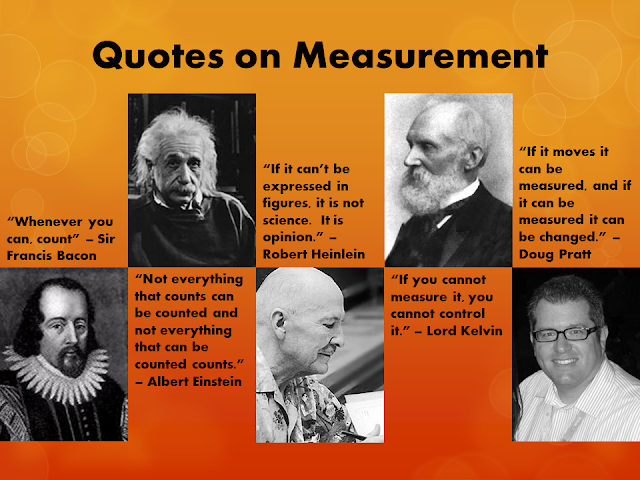 These quotes span many centuries but capture contemporary ideas related to measurement. Please visit SuperChartsBook.com for more information on Super-Charge Your Charts! Visually Transform Data Into Information.